6 hours from Amarillo, we stopped in Chama, NM. 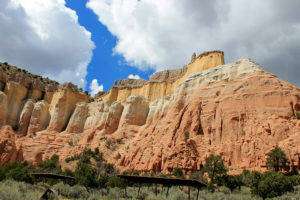 We are a big fans of the landscape outside of Chama where Georgia O’Keeffe lived at Ghost Ranch (now an education and retreat center). The painted mountains are absolutely beautiful and there is a lovely amphitheater (w/grisly rumors). 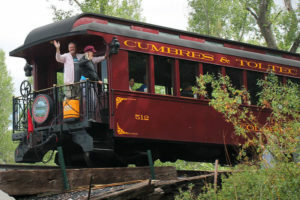 This trip we got more in touch with the train culture in Chama, home of the Cumbres & Toltec Scenic Railroad, constructed in 1880 which served the silver mining district of the San Juan mountains in southwestern Colorado. While staying at the Rio Chama RV Park, twice a day, the train went over a bridge above the Rio Chama River. Many people in the park would come out to see the train. Many people waved from the windows, open car and caboose. It was almost impossible not to wave back. For just a brief moment, we just acted like normal people. Not fighting over politics or judging one another. Smiling from ear to ear just because we just saw a train go across a bridge over a river. Any time you heard that whistle blowing, you’d start running for the bridge. Each time, you waved enthusiastically to the train riders and they waved back. It felt like being an actor on the intro to an old tv show like Little House on the Prairie or a theme ride at Disneyland, where you were just happy to see other happy people. It’s a small world (after all). The day we went to the train yard, it was a little rainy. We walked around all the train cars. There’s a gift shop and museum. Sitting at the Foster’s Hotel Saloon across from the train yard, we watched the engines burn off the coal after passenger rides and sipped on a La Cumbre Elevated IPA. 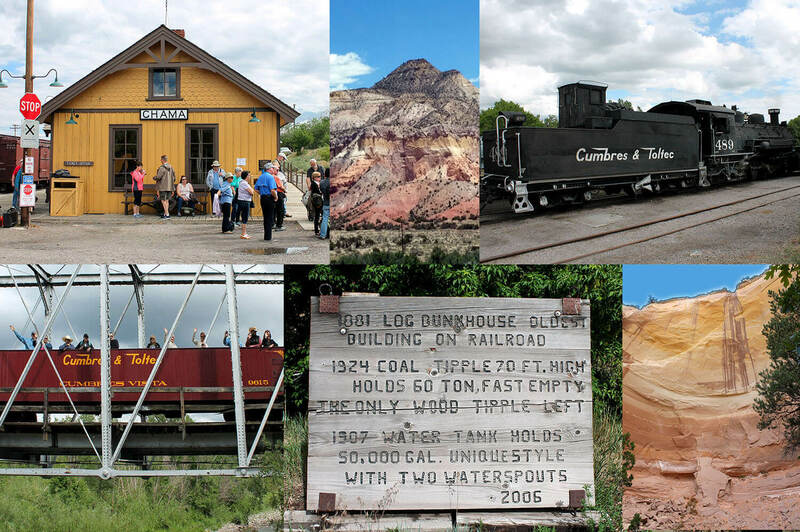 We love trains and this little town definitely gives you a glimpse of how life might have been in the past. 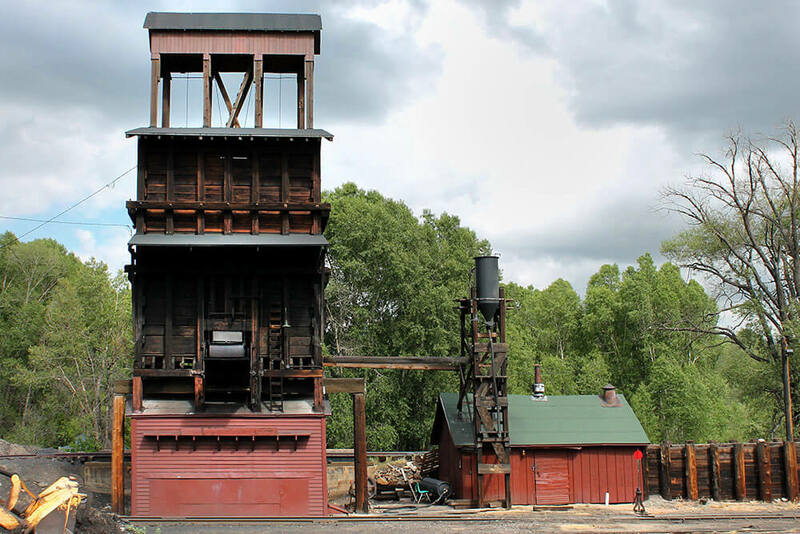 Chama, NM is a great place to take the family or learn about railroad history. Keep it in mind when traveling from Texas or New Mexico to Colorado. Thank you for following our adventures. Whoooot Whoo000000!!!! <<— that’s a train sound!! !